Two years ago, our club officially announced the creation of the social justice taskforce and within a year it became a permanent committee of our club. 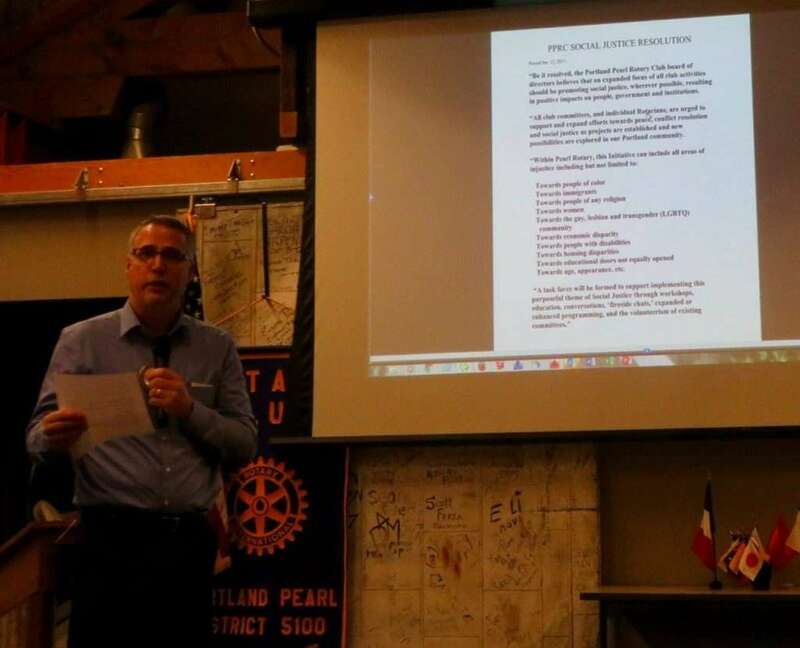 PPRC was the first club in Rotary District 5100 to have such a committee. This was not a mandate from Rotary International; this was not a mandate from the board of directors; it came from a grassroots movement within the club…This resolution is very important for the present and future of our club. The task force implemented a resolution that expanded the social justice emphasis from its beginnings (racial inequality) to all areas where injustice exists.